Can you feel the love (tonight)? Avery’s been watching Lion King way too much if I’m quoting songs from it for blog posts! Can’t lie, I have fun singing along to all the movie’s songs, cuz knowing all the words after not seeing it for 20 years is pretty awesome. Hakuna matata! We sure felt the love this weekend for Valentines Day. As with any holiday, we prepped goodies during the week beforehand. Avery played with scissors, glue, glitter, stamps and markers to make homemade valentine cards for Aunt Sarah, Grampy, and Great Grandma and Grandpa. 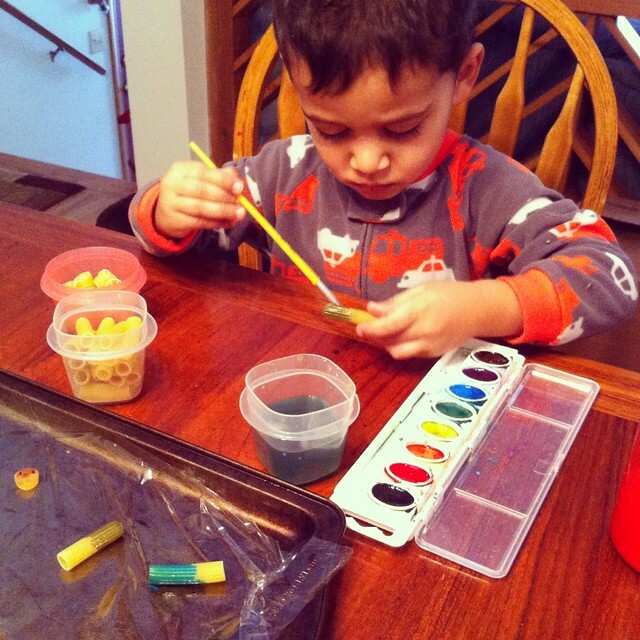 For Mimi, Avery painted noodles and made her a necklace! 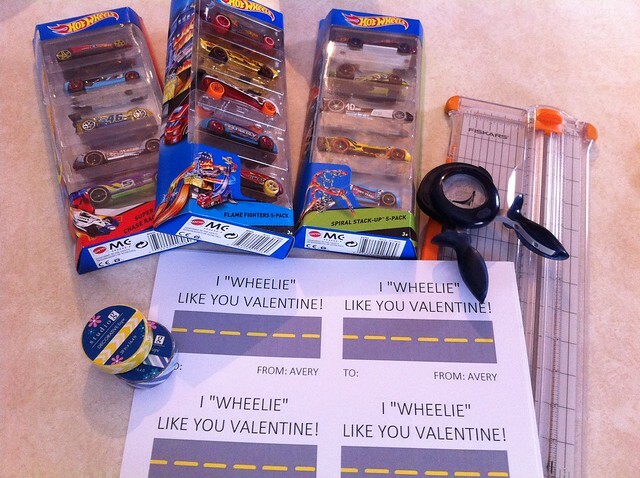 Avery’s school had a Valentines party on Friday, so I scoured Pinterest for ideas. I really wanted a Valentine that didn’t have candy (because I knew there would be lots of candy, which kids love, but I’m sure they won’t need more of after a candy filled party!) 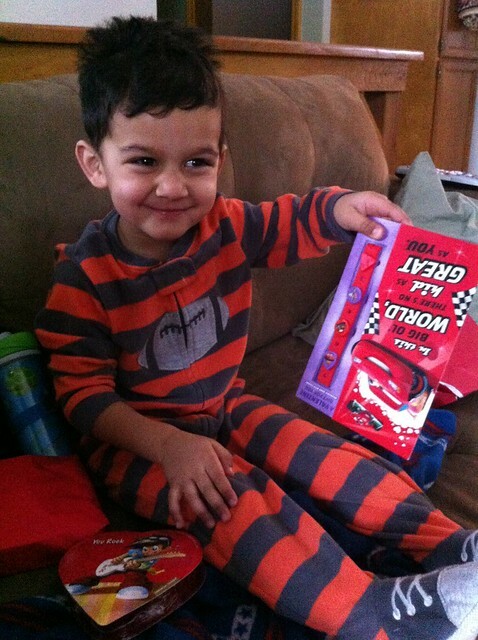 so I found one with cars – perfect for my car loving kiddo. The example online had a cheap little dollar store car, so I splurged and got real hot wheel cars that the kiddos would actually keep and use for a long time. I used the paint program on my computer and printed the simple cards. Some cutting and taping, and a few minutes later, I had this! And a lot of more minutes later I had all these! 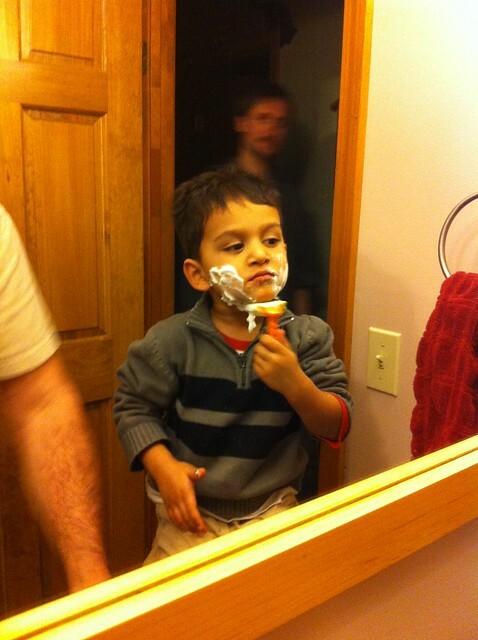 Avery was soooo excited when he saw them. 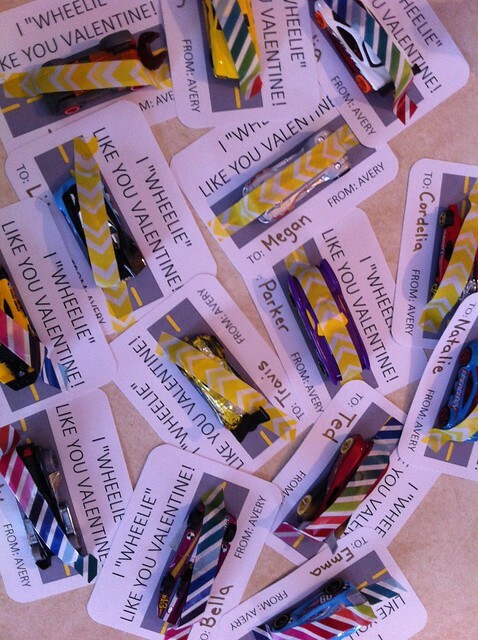 And when we brought them to school, I put them in a bag and he demanded to carry it and stopped and showed everyone his valentines as we walked to his classroom. As kids came in, he kept asking if they wanted to see his Valentines. It was adorable. 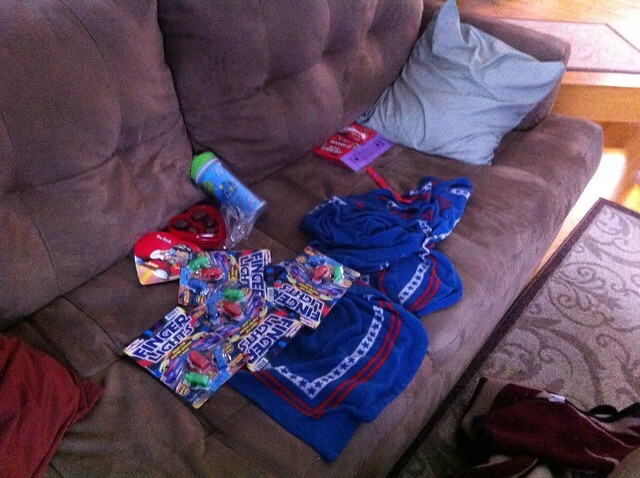 I had to put them away for the party later otherwise he would have handed them out right then and there! 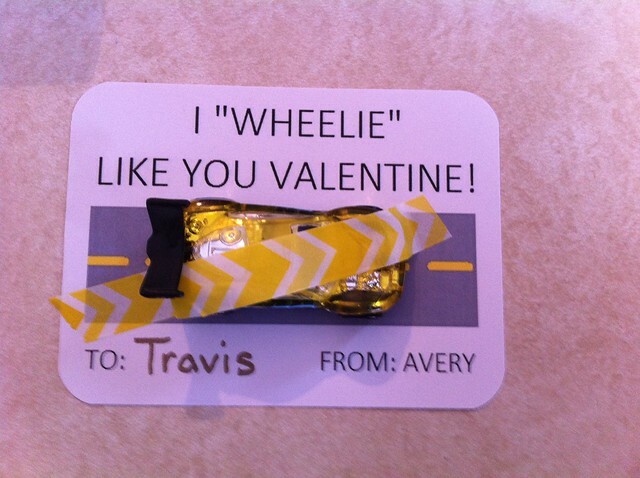 That night, Avery came home with a goodie bag of all the Valentines from school. He dumped it out on the floor and spread them out to show us. 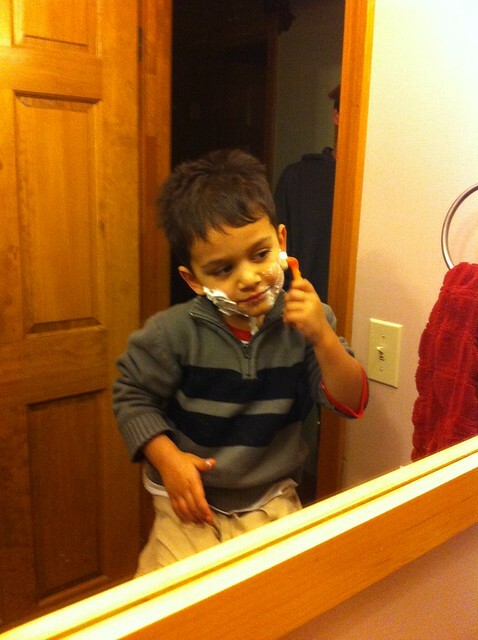 He also took Mimi’s out from school and checked those out too. 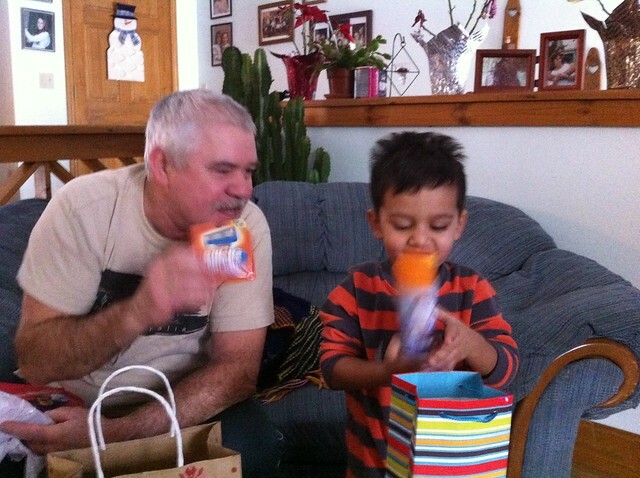 He was most excited about the lolli pops – still one of his favorite candies. 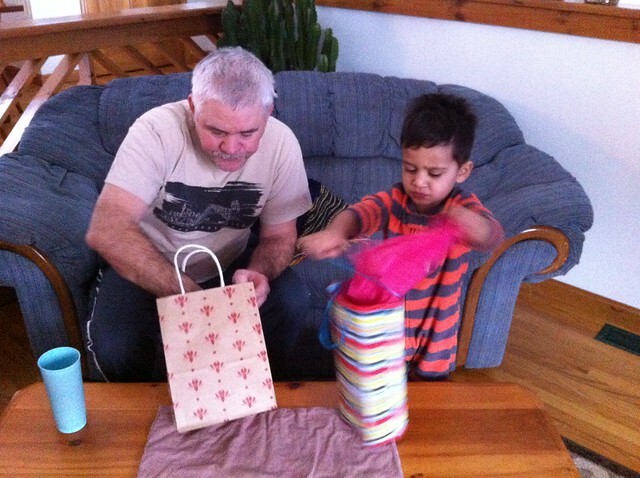 Saturday morning, we opened Valentines gifts. 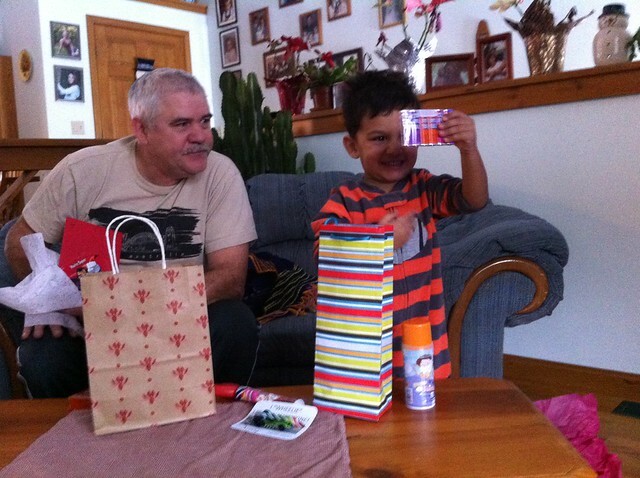 Avery got a box of chocolates and a fun card from MiMi and Grampy with a Lightning McQueen bracelet. Grampy also got him a bunch more finger lights (Avery got a set of these for Xmass and loved them!) so we had fun turning off the lights and playing with these yesterday! And of coarse the shot is blurry! 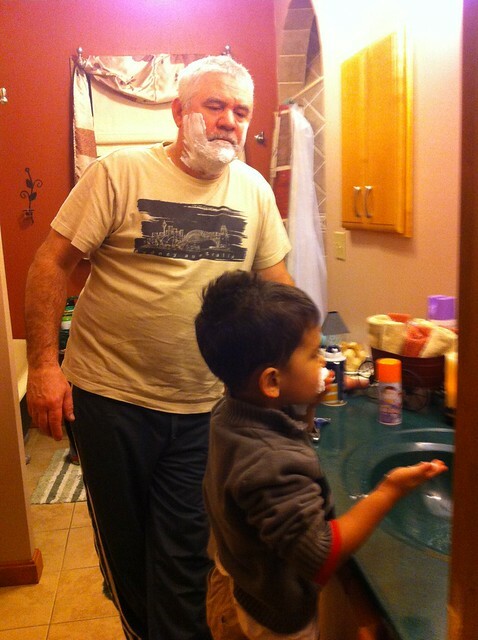 Grampy got blades for his razor, and Avery got a shaving kit! 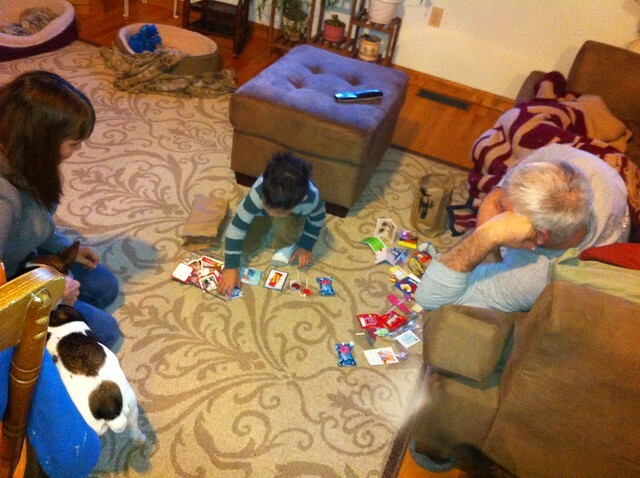 Avery got a car like his friends at school, candy for his Pez, and some jelly beans of coarse Mimi got a massager from Grampy and we tested it out! Avery got me a card that said ‘I love you’ and two new books for story time at night. 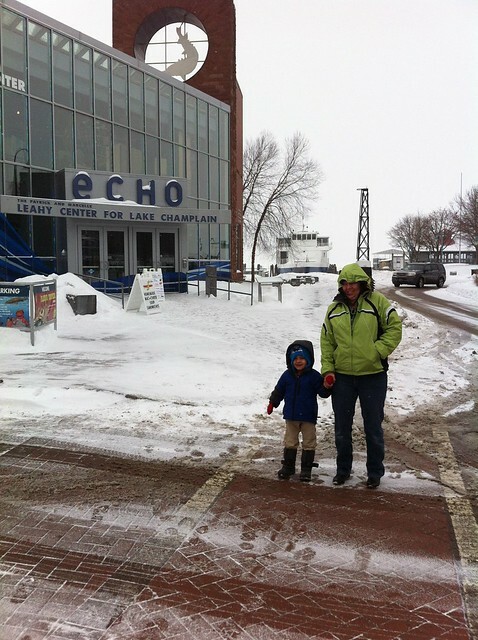 Then we were off for a fun filled morning at ECHO! 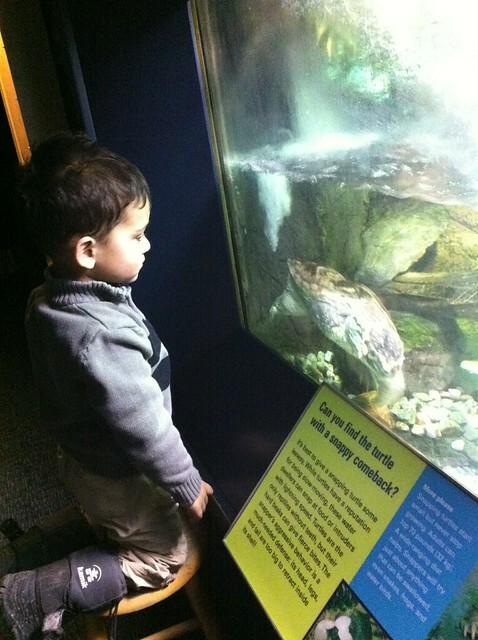 It’s been freeezzing here, so since we haven’t been able to go outside, we had some fun at the aquarium inside. We saw turtles, fish, star fish and frogs! 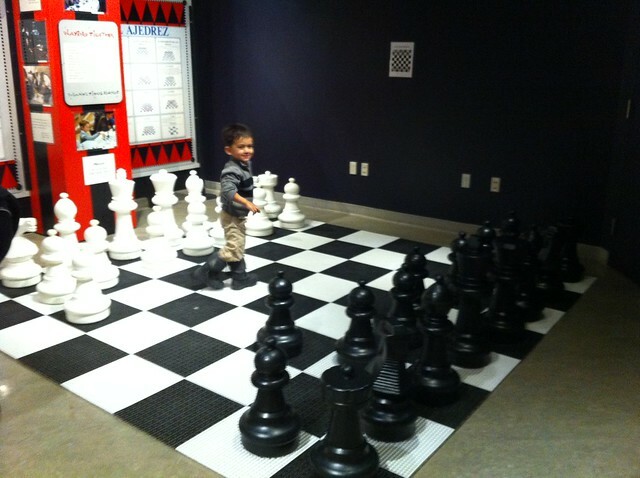 Avery had fun in the games exhibit too. 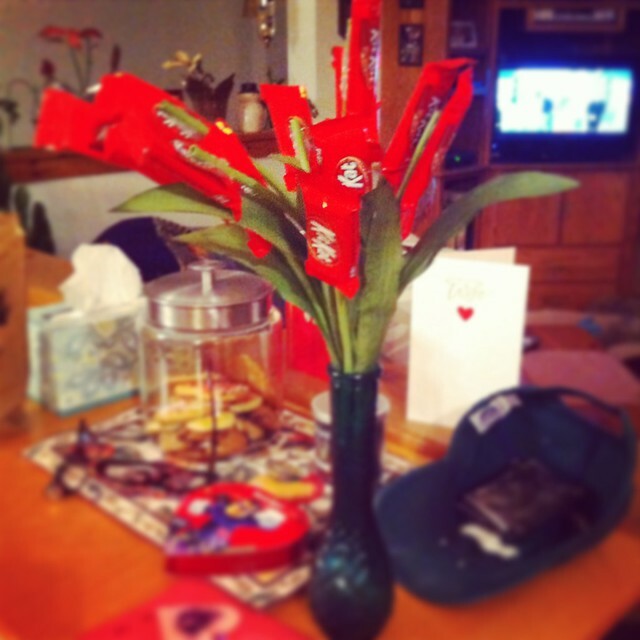 I made a batch of heart cookies for Steve and he brought me the most beautiful bouquet! That bouquet is gorgeous!!! I’m jealous. It seems to me that this site doesnt load up in a Motorola Droid. Are other folks having the exact same issue? I enjoy this blog and dont want to have to miss it whenever Im gone from my computer. that could save you money. I and also my guys have been analyzing the great things on your website and the sudden I got a terrible feeling I never expressed respect to you for them. These women are already as a result happy to read all of them and now have in fact been making the most of them. Appreciate your really being quite thoughtful and also for considering variety of smart guides millions of individuals are really desirous to learn about. My sincere regret for not expressing appreciation to you sooner. Thanks a lot for providing individuals with an extremely brilliant chance to read in detail from here. It is always very pleasant and also packed with fun for me and my office co-workers to search your website not less than three times a week to read through the newest things you have got. And indeed, I am always amazed considering the perfect methods you serve. Selected 4 ideas on this page are surely the most impressive we have all ever had. I and my buddies came checking the nice information found on your web blog then the sudden developed a horrible feeling I never thanked the web site owner for those strategies. These ladies appeared to be stimulated to study them and already have extremely been having fun with them. Appreciate your indeed being simply kind and then for deciding upon this kind of excellent areas most people are really wanting to understand about. My very own sincere regret for not expressing gratitude to you sooner. My spouse and i ended up being now joyous when Raymond could finish off his web research by way of the ideas he grabbed using your web page. It is now and again perplexing to simply find yourself freely giving tactics that many some people could have been selling. And we realize we now have the website owner to thank because of that. The specific illustrations you made, the easy site navigation, the relationships you will make it easier to engender – it is many spectacular, and it’s assisting our son in addition to the family consider that that subject is thrilling, which is exceptionally indispensable. Thank you for all the pieces! I precisely desired to thank you very much once again. I am not sure the things that I might have made to happen in the absence of these creative concepts documented by you about this field. It was a real intimidating dilemma for me personally, nevertheless spending time with a specialized manner you solved that made me to weep over delight. I am just grateful for your help and in addition expect you really know what a powerful job you’re providing instructing people through the use of a blog. Most likely you have never met all of us. My spouse and i got very thrilled that Emmanuel could round up his inquiry through the precious recommendations he received using your web site. It’s not at all simplistic to just possibly be freely giving tricks which a number of people might have been making money from. We recognize we have got the website owner to give thanks to for this. 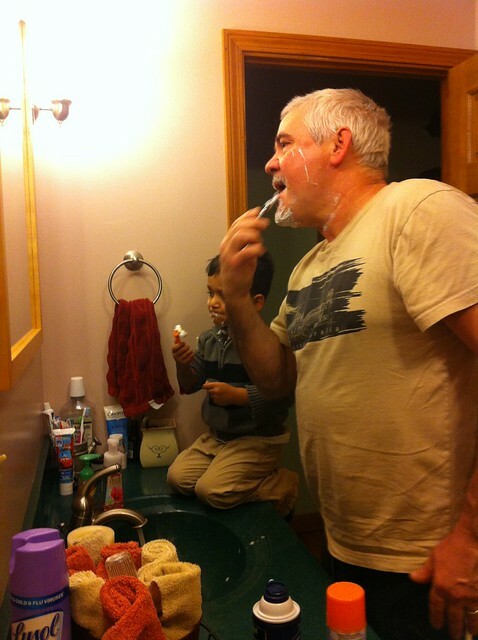 Most of the explanations you’ve made, the easy website navigation, the relationships you can give support to foster – it is everything wonderful, and it is leading our son in addition to us know that this situation is awesome, and that is extraordinarily important. Thanks for the whole lot! Thank you for all your valuable hard work on this site. Gloria really loves conducting investigation and it’s really simple to grasp why. A number of us hear all relating to the compelling ways you offer advantageous tips and hints via your blog and as well as boost response from some other people on the area of interest and our favorite daughter has been starting to learn a lot. Enjoy the remaining portion of the new year. You have been carrying out a powerful job. I must point out my appreciation for your kindness supporting all those that actually need guidance on this particular idea. Your personal dedication to passing the message along became particularly informative and have regularly permitted girls just like me to arrive at their desired goals. Your amazing useful recommendations signifies much to me and especially to my office colleagues. Thank you; from all of us. I together with my buddies have already been examining the excellent pointers found on your website then quickly I got a terrible suspicion I had not thanked the blog owner for those tips. Most of the young boys are already consequently thrilled to learn all of them and have now in actuality been enjoying these things. Thanks for turning out to be simply considerate and for picking such superb subjects most people are really desperate to learn about. Our own honest regret for not saying thanks to you earlier. Thank you for each of your effort on this site. 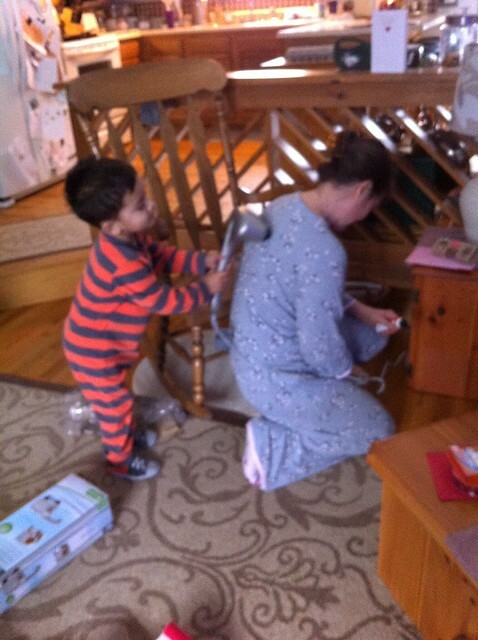 My niece delights in setting aside time for investigation and it is obvious why. All of us notice all about the dynamic form you create practical tricks by means of your blog and invigorate contribution from other people on this situation and my child is actually discovering so much. Have fun with the remaining portion of the year. Your conducting a really good job. I together with my guys came viewing the best information and facts on your site and unexpectedly developed an awful suspicion I never expressed respect to the website owner for those tips. All the men had been as a result passionate to read them and now have unquestionably been taking advantage of these things. Appreciate your getting considerably thoughtful and then for choosing this kind of cool subject areas most people are really needing to be informed on. My personal sincere regret for not expressing gratitude to earlier. I needed to create you a very little observation so as to give thanks again for all the magnificent guidelines you’ve contributed at this time. It was simply shockingly open-handed with people like you to make without restraint what many individuals would have offered for sale for an e book to help with making some money for themselves, notably since you could have tried it if you ever decided. Those smart ideas likewise acted as a easy way to know that the rest have the identical eagerness the same as my personal own to know the truth a good deal more when considering this problem. I know there are millions of more enjoyable periods ahead for folks who start reading your blog. A lot of thanks for each of your effort on this site. My mom delights in participating in research and it’s easy to understand why. Most of us notice all regarding the dynamic manner you offer worthwhile suggestions on your web site and as well as invigorate participation from other individuals on the idea and our own simple princess is in fact learning a lot of things. Take pleasure in the rest of the year. You have been carrying out a dazzling job. Thanks a lot for giving everyone an exceptionally memorable opportunity to read in detail from this blog. It’s always so cool and also full of amusement for me personally and my office friends to search your website nearly 3 times weekly to see the fresh items you have. And lastly, I’m also at all times astounded with all the good solutions you give. Selected 2 ideas in this post are absolutely the most suitable we’ve had. I wish to express my thanks to the writer for rescuing me from this particular problem. Just after browsing through the search engines and obtaining thoughts that were not helpful, I was thinking my entire life was over. Living devoid of the answers to the problems you’ve solved through this write-up is a crucial case, as well as the kind that would have in a wrong way damaged my career if I hadn’t come across your site. Your actual expertise and kindness in playing with every aspect was tremendous. I am not sure what I would have done if I had not come across such a solution like this. It’s possible to at this time relish my future. Thanks a lot so much for this expert and results-oriented guide. I won’t be reluctant to propose your blog post to anyone who ought to have tips on this problem. I precisely wished to thank you very much again. I do not know the things I might have gone through in the absence of the actual opinions provided by you relating to my topic. It had become the depressing problem in my position, however , finding out a new expert way you handled it took me to jump with delight. I am just thankful for this information and in addition hope you really know what a powerful job you have been getting into instructing men and women through the use of a web site. Probably you have never come across all of us. I together with my buddies happened to be going through the good points located on your web page and then unexpectedly got an awful feeling I had not expressed respect to you for those strategies. The men were definitely so very interested to read through all of them and have in effect definitely been loving them. Thank you for actually being very accommodating and for selecting varieties of excellent useful guides most people are really desperate to discover. My personal honest regret for not saying thanks to you sooner. Thank you for each of your hard work on this web page. My niece delights in going through investigations and it is simple to grasp why. We all learn all concerning the lively method you present practical secrets via the website and as well as increase contribution from other ones on this concern then our favorite princess is discovering a great deal. Have fun with the remaining portion of the year. Your doing a great job. I precisely had to thank you so much again. I’m not certain the things I would’ve carried out without the actual pointers discussed by you over that theme. It was actually a very horrifying issue in my position, nevertheless taking a look at a new expert mode you resolved the issue took me to jump over delight. I am just thankful for this work and hope you realize what an amazing job you have been getting into training many others through a blog. I am sure you’ve never encountered all of us. I would like to show thanks to you just for bailing me out of this type of scenario. Just after checking throughout the world wide web and seeing proposals which are not powerful, I figured my life was over. Living without the solutions to the problems you’ve solved by means of this article is a crucial case, as well as those which may have in a negative way affected my career if I hadn’t noticed the website. Your training and kindness in taking care of all things was very helpful. I am not sure what I would’ve done if I hadn’t come across such a stuff like this. I’m able to at this moment relish my future. Thanks for your time so much for your skilled and effective help. I won’t think twice to endorse your site to any individual who should receive guide about this topic. I wish to express thanks to this writer for rescuing me from this type of condition. Right after exploring throughout the internet and seeing advice that were not beneficial, I thought my entire life was gone. Living without the presence of answers to the issues you have solved through your good site is a critical case, and those that could have negatively damaged my entire career if I had not noticed your website. Your actual talents and kindness in maneuvering all the details was priceless. I’m not sure what I would’ve done if I hadn’t come upon such a point like this. I can also now relish my future. Thanks a lot very much for the skilled and result oriented help. I will not think twice to endorse the blog to any individual who needs to have guidelines on this issue. I wanted to put you a very small word to finally thank you very much the moment again with the lovely tactics you have discussed here. This has been so particularly open-handed with people like you in giving openly just what most of us might have supplied for an electronic book to make some cash for their own end, most notably seeing that you might well have done it in the event you decided. These inspiring ideas likewise acted as the easy way to fully grasp that the rest have the identical passion just as mine to realize good deal more around this problem. I believe there are a lot more enjoyable times up front for people who find out your blog. Thanks so much for giving everyone remarkably pleasant opportunity to read articles and blog posts from this site. It’s usually very fantastic and packed with a lot of fun for me and my office fellow workers to visit your blog particularly three times every week to see the newest guidance you have got. Of course, I’m at all times impressed considering the dazzling tips you serve. Some 3 tips on this page are certainly the most beneficial I have ever had. fS29QR Really informative blog.Really thank you! Fantastic. hqLwUH I?аАТаЂаll right away grasp your rss as I can not in finding your e-mail subscription hyperlink or newsletter service. Do you ave any? Please allow me recognize in order that I could subscribe. Thanks. I have a issue with the post, where am i able to get in touch with the author? Lovely website, it loads really quick and appears really cool. Saved as a favorite, magnificent web site! This has to be my second favorite piece in the last few days, i can’t inform you the very best, it may offend you! you the very best, it might offend you! One of the brilliant items i’ve seen this week. so hopefully they may get pleasure from it as well. you the top, it may offend you! At the very least it’s more enlightening than one of our reality TV stars, kim who? In the top five of my favourite content pieces, thanks! am i able to contact the writer? I have a problem with the post, where am i able to contact the person responsible? Saved like a favorite, brilliant web page! Saved like a favorite, magnificent internet site! erNC71 you ave gotten an amazing blog right here! would you like to make some invite posts on my weblog? You’re so awesome! I do not believe I have read through a single thing like this before. So wonderful to find another person with original thoughts on this issue. Really.. many thanks for starting this up. This site is one thing that’s needed on the internet, someone with a little originality! you make running a blog look easy. The whole glance of your website is wonderful, let alone the content material!